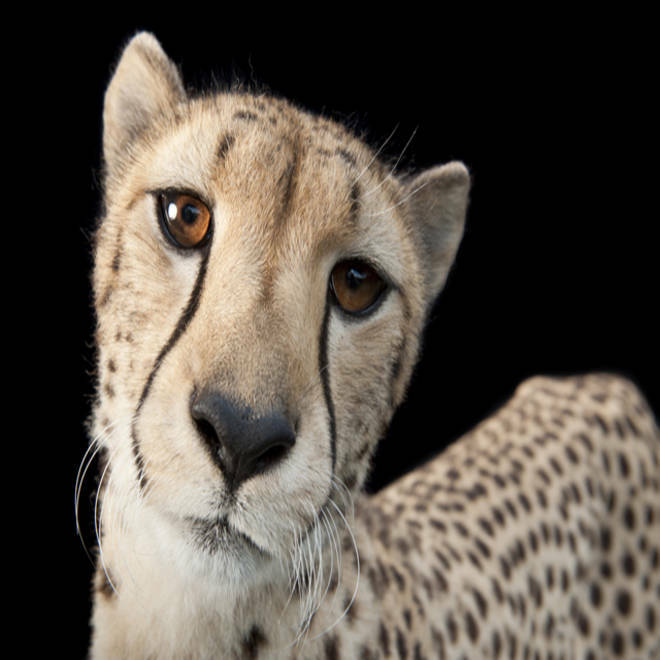 A new project by National Geographic photographer Joel Sartore is illustrating why all creatures have a right to exist. NBC's Anne Thompson reports. Joel Sartore is a modern-day Noah, building a portfolio instead of an ark. The National Geographic photographer has taken more than 1,800 stunning studio portraits of endangered animals, many of which cannot be found in the wild anymore. By choosing a portrait style, Sartore says all of the creatures are showcased equally, putting them on the same footing. A National Geographic photographer's biodiversity project aims to protect 6,000 species, illustrating why all creatures have the right to exist. Sartore's Biodiversity Project is available in its entirely on the website http://www.joelsartore.com/galleries/the-biodiversity-project/. Click on the video below to hear more about Sartore's mission. Photographer Joel Sartore talks about working with threatened animals and praises zoos and aquariums for protecting the wildlife.